Cesar Birotteau had been in Balzac’s ‘bottom drawer’ as a rough draft for six years before it was published. Finally Le Figaro offered him 20,000 Francs if he could make it ready for 15 December 1837. He had despaired of interesting publishers in an apparently lightweight tale of a mediocre shopkeeper. But Balzac correctly believed that Birotteau’s commercial rise and fall illustrated important features of business enterprise and speculative investment that underpinned the workings of what might be called ‘early capitalism’. 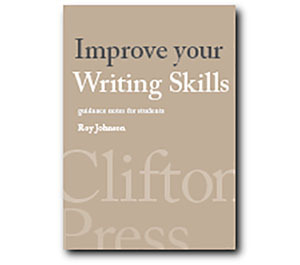 The structure of the novel could not be more simple – or more dramatic. This is reflected in its full title, which is Histoire de la grandeur et decadence de Cesar Birotteau – History of the rise and fall of Cesar Birotteau. Part I covers Birotteau’s commercial rise – the success of his perfume business, his election to deputy mayor, and the expansion of his property in Paris. But embedded within all this success there are some over-confident financial investments and rash dealings with shady speculators, including the notary Roguin. This part of the novel culminates in the expensive grand ball to which he invites all his influential associates. Part II plots his downfall – beginning a week after the ball when the bills must be paid. The corrupt notary Roguin absconds with his clients’ money, which precipitates Birotteau into a cascade of debt. He tries to raise money from various bankers without success, and is finally declared bankrupt. He takes a menial job (as do his wife and daughter) and they eventually scrape enough to pay off part of the debt. His former assistant Popinot eventually pays the rest and marries his daughter Cesarine. But Birotteau is overcome by the emotional strain and the reversal in his fortunes, and he dies at the wedding party. Thus Part I of the novel concludes with Birotteau at the height of his success with a lavish party. Part II echoes this event, with Birotteau having repaid his debts and recovered his honour, with another party celebrating his daughter’s marriage. But Birotteau is worn out with worry and emotional strain – and he dies. The symmetry and the dramatic trajectory of rise and fall are striking. Part I shows how easy it is, following a modest commercial success, to become drawn into an ever more extravagant style of living. This seductive process is compounded by two further evils of economic life. The first is spending money which has not yet been earned. The second is speculating in schemes over which one has no financial control and which have a high factor of risk, such as gambling on the stock exchange or speculating on the value of real estate. Part II reveals how difficult it is to recover from a financial disaster. 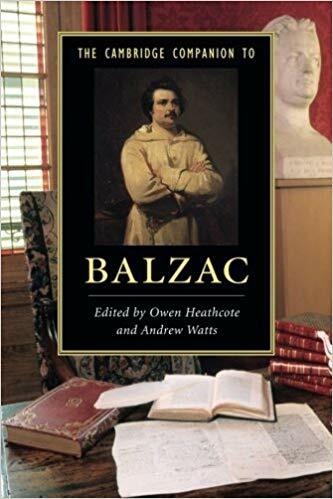 First Balzac outlines in great detail the workings of the law relating to bankruptcy – and in particular how the creditors can stack the odds in their own favour, even to the extent of creating ‘false creditors’. Second, he dramatises quite relentlessly how bankers can control the availability of credit through self-interested networking. Finally he shows the life-sapping efforts necessary to repay debts through the medium of hard work. Balzac was well aware of all these forces – because he had first-hand knowledge of them. He borrowed money, enjoyed a lavish life-style, and invested in rash speculative ventures which collapsed. He was declared bankrupt, and worked his way out of debt by colossal efforts of literary industry – which eventually killed him at the age of fifty-two. You could almost say that Cesar Birotteau was a prophetic account of his own life story – since he overworked himself to get out of debt, married late, and died shortly afterwards. In common with many of the other novels and stories which make up Balzac’s grand vision of French society, Cesar Birotteau features characters who crop up in other works. They might be simply named en passant such as the money-lender Gobseck and the judge Camusot, or they might play a substantial role such as the banker Nucingen and the travelling salesman Gaudissart. The connections between these named characters and their recurrence in various works is one of the things that gives La Comedie Humaine its spectacular social depth. 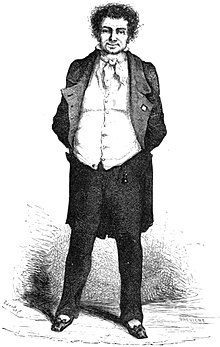 Anselme Popinot, the modest and club-footed assistant to Birotteau, is the nephew of Jean-Jules Popinot, who is initially in charge of investigating the court case featured in A Commission in Lunacy. Sarah Gobseck appears as la belle Hollandaise, the prostitute and mistress of the notary Roguin. She is the grand-niece of the money-lender Jean-Esther Gobseck and the mother of Esther Gobseck who becomes mistress to Lucien Rubempre – both of whom feature in Gobseck and Scenes from a Courtesan’s Life. Maxim de Trailles crops up in a role he frequently occupies in https://www.mantex.co.uk/la-comedie-humaine/La Comedie Humaine. He is a rake and a compulsive gambler who is helping to ruin Sarah Gobseck, as he does Anastasie de Restaud in Old Goriot. Gaudissart the boastful salesman who boosts the sales of Popinot’s hair restorer Cephalic Oil features in a number of later works. He goes on to become the owner of a boulevard theatre and is a key figure in Cousin Pons. The wealthy banker Frederic Nucingen appears in several novels in La Comedie Humaine, particularly the important volumes Old Goriot, Lost Illusions, and Cousin Bette. His mistress is Esther Gobseck (daughter of Sarah) and his wife Delphine becomes the long-term lover of Eugene de Rastignac. The best current editions of the major novels are those published in the Oxford World’s Classics paperback series. Each volume contains a critical introduction, a note on the text, a bibliography of further reading, a biographical chronology of Honore de Balzac, and most importantly a series of explanatory notes giving historical, geographical, and scientific information about details mentioned in the text. I Having been made deputy mayor, Cesar Birotteau’s ambition is inflamed. He wants to expand his business and put on a social show, whilst his wife Constance urges caution and restraint. He plans to borrow money to invest in a dubious real estate scheme. He also claims to have discovered a cure for baldness. II Birotteau has arrived in Paris from Tours. Apprenticed to perfumier Rogon, he learns the details of the trade and during the Revolution becomes an ardent Royalist. He rises to the position of head clerk and dreams only of quiet retirement to Chinon. He falls in love with attractive shop girl Constance and marries her in 1800. Birotteau buys the perfume business from Rogon and moves to a more fashionable location. He ‘invents’ skin creams ‘Double Paste of Sultan’ and ‘Carminative Balm’. Constance advises him to distribute wholesale at a discount. The business prospers and expands. Birotteau is successful but uneducated. He takes on commonplace ideas and dotes on his daughter Cesarine. Birotteau employs as chief clerk the ambitious and unscrupulous Ferdinand du Tillet, who tries to seduce Constance. He is dismissed, but steals money from the shop. Tillet then sets himself up as a man of means and becomes a stockbroker then a banker. III The notary Roguin has impoverished himself by keeping la belle Hollondaise (Sarah Gobseck) as mistress. He has also misappropriated the funds of his clients. Du Tillet persuades him to ‘borrow’ more and invest them secretly in a speculative scheme involving land in the Madeleine district. He persuades Roguin’s mistress and Mme Roguin to do the same. Mme Roguin at this point also becomes du Tillet’s lover. Du Tillet makes money and influential contacts. But Sarah Gobseck loses money to pay the gambling debts of her lover Maxime de Trailles. Du Tillet invents a scheme to use money from Birotteau and Claparon, a ‘straw man’ whom he recruits. Birotteau proposes to set up young Popinot in a shop to sell his new hair restorer. IV Birotteau goes ahead with plans to extend his home into the neighbour’s house. He negotiates an agreement with the obsessive landlord Molineux. He orders the nuts for producing the hair-restoring oil, ‘Comagene Essence’. V Birotteau discusses the Madeleine land project with his uncle Pillerault who has also invested. He checks with scientist Vauquelin that the oil will be good for the scalp. Preparations are made for the house extension and the launch of the second shop. VI Popinot engages the services of Gaudissart to promote the new hair oil, now called ‘Cephalic Oil’. There is a dinner for the Madeleine investors, joined by du Tillet’s straw man Claparon, who is a sham operating out of his social depth. Meanwhile there is also a dinner to celebrate the launch of Popinot’s hair oil. Judge Popinot arrives to take his young nephew to draw up legal papers. VII Birotteau extends the guest list of his grand ball to include lots of dignitaries. The apartments are given an expensive refurbishment. The grand ball is an extravagant success. But there are hints of problems to come. I A week later Birotteau feels burdened by debt and uncertainty as the bills for his expansion start to arrive. His promissory notes are being refused, and he has no ready cash. The young notary Crottat breaks the bad news. Roguin has held the Madeleine scheme finances without giving receipts. He has squandered the money and disappeared. Sarah Gobseck’s furniture has been sequestered and she has been assassinated. Birotteau has a breakdown, during which time he is visited by Claparon, demanding money for the Madeleine scheme. II Birotteau seeks help from his uncle and his lawyer, but the case is hopeless. Meanwhile Cephalic Oil is a success and Finot works as a tireless publicist, placing adverts in the press. Birotteau seeks credit from the lofty banker Keller, who refers him to his business-man brother, who wants to see the deeds of the Madeleine scheme. III The Kellers refuse credit, but du Tillet lends him money, with the malign intention of ruining his former boss. He also gives him a false letter of recommendation to the banker Nucingen. Birotteau reveals his plight to Constance, who supports him. IV Birotteau appeals to Nucingen, who flatters him, but refers him back to du Tillet. When du Tillet refuses, Birotteau applies to the phoney banker Claparon, who is no use either. Even young Popinot refuses to help him – on the advice of his uncle the judge. V Popinot reverses his decision, but Pellerault says it is too late because Birotteau’s public reputation is now ruined. Birotteau’s brother the priest responds, but with only a thousand Francs. Pellerault and Popinot make one last attempt to raise the money, but it fails. Birotteau is forced to declare himself bankrupt and he resigns his position as deputy mayor. Constance then applies to Royalist connections, securing jobs for her husband and daughter. She is employed by Popinot. Birotteau accepts his downfall. VI Balzac explains the tangled web of influences and procedures that obtain in Parisian bankruptcy cases. Birotteau is examined by Molineux but protected by Pellerault. All Birotteau’s assets are sold off and the creditors receive almost sixty percent of their claims. Birotteau, his wife, and his daughter work tirelessly to pay off the rest of the debt. VII Eighteen months later Birotteau is able to make a partial payment to his creditors. Du Tillet is forced to pay a high price for land that Popinot owns. Constance reveals du Tillet’s original theft and burns his love letters to her. Popinot then pays off the remainder of the debt and restores the Birotteaus to their former home. Birotteau re-visits the Bourse in triumph, having cleared his name. He returns to his old home at the wedding celebrations of Popinot and Cesarine – but the emotional strain is too much for him and he dies of a broken heart.